I would like to create a personalize PCB template (Title block) for my company which include company information and logo. So I wanted to know how can I use or edit existing PCB sheet templates according to my needs? THIS ISN'T A QUESTION ABOUT PROGRAMMING. I'll answer but don't worry if someone delete the question. I like to create my own title blocks. You can do that creating a schematic component and introducing the parameters you want. In your schematic library, add a new component called Title_Block. Use lines and strings to create the fields. I put these strings in red to show that are special strings starting with '=' sign. These special strings will be replaced automatically by Altium when you create a parameters with the same name. I put some Altium default parameters (SheetNumber, SheetTotal, CurrentDate and Title) and two that we'll create (VersionRevision and Project). You can see other default special strings here: Schematic Text Strings. 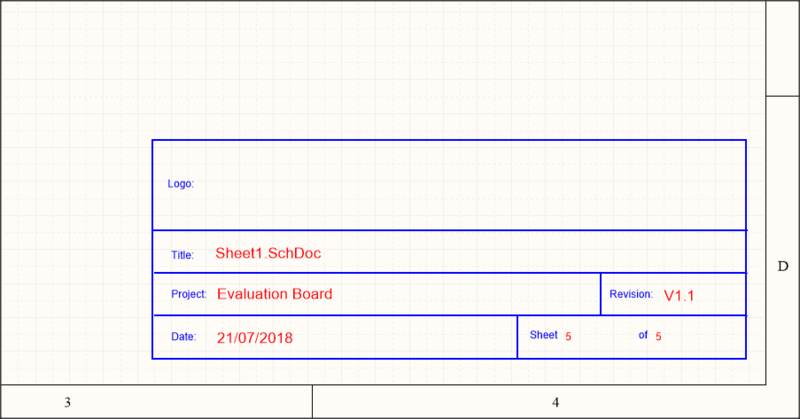 In your schematic sheet, disable the Title Block to introduce yours. 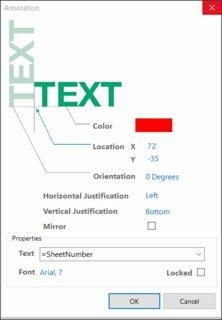 Right click on the schematic, Options > Sheet..., and uncheck the Title Block box. Here, you can find like A3,A4 different template for Schematic and PCB also. You can Edit that as per requirement. To Edit or Change the logo in Template sheet: Place->Drawing tool->Graphic. Not the answer you're looking for? Browse other questions tagged altium-designer or ask your own question. How do you create a Thru hole without a pad in Altium?